In cancer, personalized medicine uses specific information about a person’s tumor to help diagnose, make a prognosis, plan treatment or to find out how well the treatment is working. Amadix´s personalized medicine strategy aims to provide diagnostic tools that support the physician’s decisions about patient management, in order to give the right treatment to the right patient. As of today, Amadix has a pipeline of innovative and non-invasive tests under development for screening and early diagnostic uses in colon, lung and pancreatic cancer. The company has conducted clinical studies in more than twenty hospitals for different types of cancer. All Amadix products are duly protected by patents worldwide, with patent protection in eleven territories including the US, Europe and Japan. 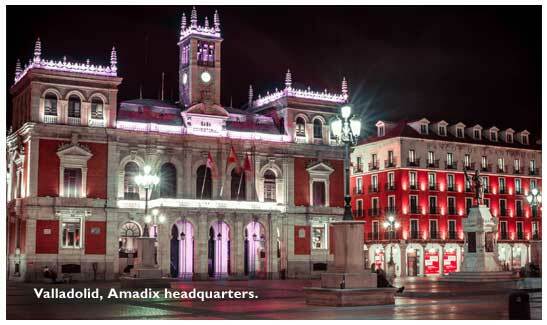 Amadix scientific team works closely with research groups from more than 20 countries, to identify leading diagnostic biomarkers with high potential for implementation in clinical practice. 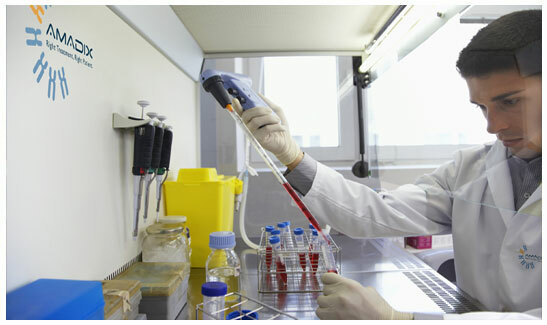 Our team is involved in the discovery phase, verification studies design, initial validation, patentability and Freedom To Operate analysis of those biomarkers from the beginning. Some of them will be part of the company pipeline in the forthcoming years.